Mentalism & Hypnotism at Magic Marketing Co. - The Entertainer's Secret Weapon : Unique Marketing Materials & Supplies For Magicians, Balloon Twisters, and Other Entertainers. Make $100,000 / year As A Mentalist 2 Complete Acts Plus Master Marketing Materials Book shows NOW with a tour starting in as a little as 4 weeks. 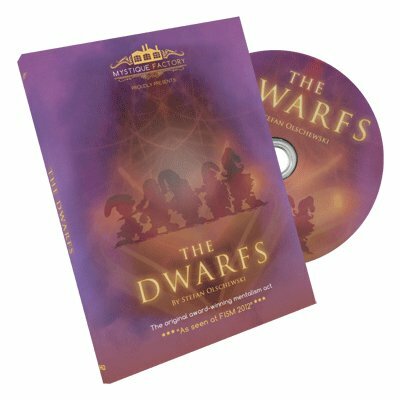 The Dwarfs by Stefan Olschewski DVD. Experience one of the most baffling and entertaining mentalism routines out there. Stefan explains his complete FISM act in great detail - nothing is held back. Now you will be able to perform the act.